Lenders make money off interest that accumulates over years, and they tend not to want borrowers to pay off a mortgage in a shorter period of time than expected. If a homebuyer pays off a mortgage earlier than expected, the lender does not receive the amount of interest that it expected. A prepayment penalty clause is a provision in loan agreements under which the lender imposes a penalty when a borrower retires a loan before its scheduled pay off date. The purpose of these clauses is to compensate lenders for not obtaining interest income they anticipated, and for the possibility that the loan amount will have to be reinvested at a lower interest rate. At Pulgini & Norton, our real estate lawyers can advise individuals and lenders in the Boston area with regard to prepayment penalty clauses. Different states have enacted different laws related to prepayment penalties on residential first mortgages. In most cases, Massachusetts allows lenders to collect penalties for prepayment during the first three years of a loan. Under Section 56, Chapter 183 of the General Laws of Massachusetts, a mortgage note that is secured by a lien on a dwelling of four or fewer households or a condominium unit that is occupied by the mortgagor is subject to the condition that if the note is paid before the date that was fixed for payment, any additional amount that must be paid will be the balance of the first year’s interest or three months' interest, whichever of these sums is less. Some people must resort to refinancing, particularly if they are trying to rebuild credit. This can be risky for creditors. Therefore, if a prepayment is made within 36 months from the date of the note in order to refinance the loan in another financial institution, the lender is allowed to require an additional payment of not more than three months’ worth of interest. However, if the Federal Housing Commissioner insures the mortgage loan, the lender may be required to reimburse the borrower for the full amount of charges required by a statute or a regulation of the Federal Housing Administration. A different law applies in the context of eminent domain. Section 57, Chapter 183 of the General Laws of Massachusetts makes it unlawful for a lender to enforce a prepayment penalty in any mortgage note that is secured by a first lien in a dwelling of three or fewer separate households that is occupied by the borrower, when the payment was made because the property was taken for a public purpose. Thus, for example, if the government takes your home in order to build on it before the scheduled deadline for payment, no prepayment penalty may attach. Mortgage prepayment penalties do not only affect homebuyers interested in paying off debts earlier than scheduled. 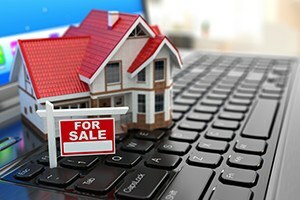 They may also be charged when you sell your home or refinance. At Pulgini & Norton, our property transaction attorneys can advise Boston residents on home purchases and sales, as well as their financing options. We understand how crucial it is for a homebuyer to obtain a mortgage that makes sense for his or her financial situation. Among other things, we can help buyers or lenders review or draft loan documents related to prepayment penalty clauses. We also represent clients in Quincy, Newton, and Waltham, among other Massachusetts communities. Call us at 781-843-2200 or contact us via our online form for a consultation.